This SF-SL airway beacon will be discontinued effective November 30, 1930. Site No. 34.__Light known as Eglon Cluster Blinker, located near Eglon. Of all the arrows that we have been to, which up to this point has been in excess of 40, the Eglon Arrow was by far the most difficult to get to. 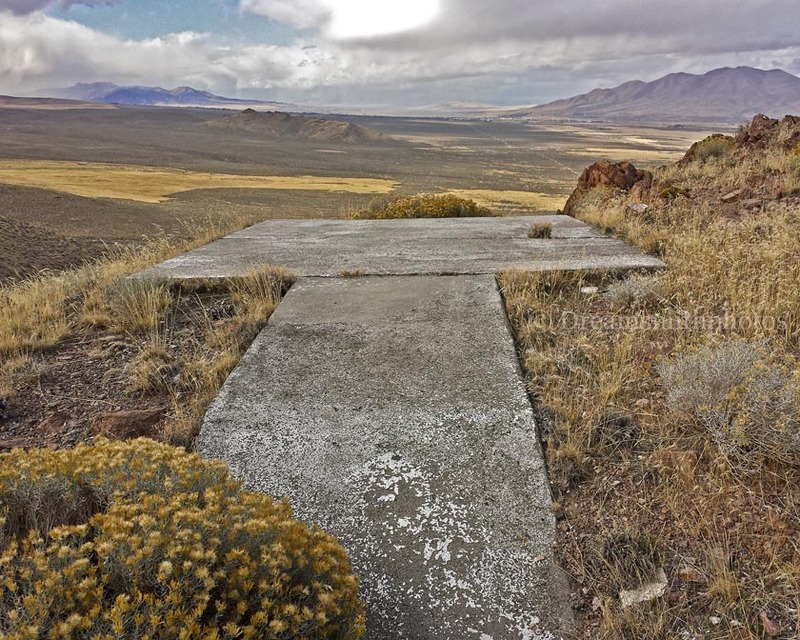 The arrow is located on the top of a hill south of I-80, and east of Winnemucca, Nevada. We exited I-80 at the Rest Area located at this location and parked along a dirt frontage road adjacent to the eastbound lanes. We had to wait for about 45 minutes for dark storm clouds to pass over before an attempt could be made to reach the arrow. According to GPS the arrow was 1 mile from the car, with an 800 foot vertical rise difference, with most of it being in the last 1/4 mile or less. After the clouds cleared somewhat I began my trek while my wife stayed in the car. Most of the way was on a rutted dirt road that was fairly level. When I reached the foot of the hill I couldn’t see any trail leading to the top. Thus began my upward trek on the steep hillside. It was a very slow and arduous hike up, with many stops being made. As I got higher up the hill I began to encounter high winds that were blowing across the top. This made it even harder and a little more dangerous, as stability became more of a problem. When I did reach the arrow at the very top of the hill, wind gusts were blowing between 45-55 mph, and made standing up at times very difficult. On several occasions I had to sit down and hunch over until the winds subsided. With the aid of binoculars my wife could see me walking around on top of the hill. The terrain surrounding the arrow was steep and hazardous. The Eglon Arrow is a step-arrow, and is complete and in good condition. The arrow is 58 feet in length. The pilot would approach the tail of the arrow on a compass heading of 70° (E-NE), and then exit the arrow on a compass heading of 120° (E-SE). After I completed measuring & photographing the arrow, I now had to face hiking back down the hill with the high wind conditions. I always find its easier going up a steep hill than down. I knew that one wrong step and I would be taking the express route down to the bottom. I didn’t really feel safe until I was back on the dirt road. The total time that I was gone from the car was 3 hours. 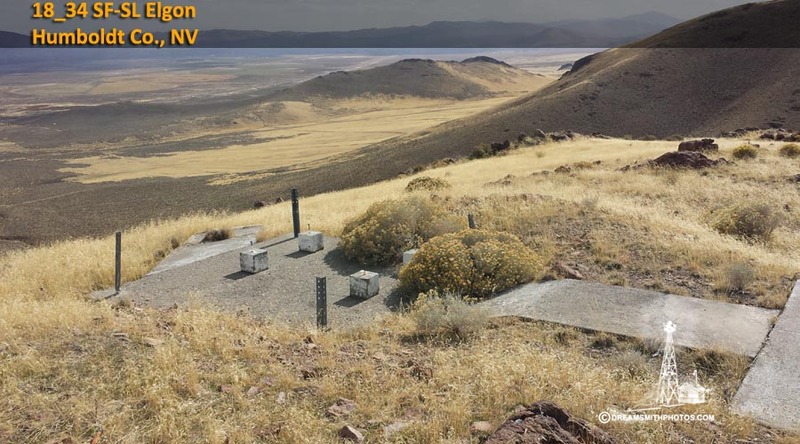 No drone photos will be taken of this arrow due to the extreme difficulty in getting to the arrow, the steep and hazardous terrain surrounding the arrow, and the constant winds going across the top of the hill where the arrow is located.